It is NOT in the interests of Irish Republicanism that these hoods get away with this outrageous crime. A Republican providing information to An Garda Siochana about hoods cannot be accused of 'informing' it is the duty of Republicans to report hoods. If you protect hoods, you are a hood. Bobby Sands died to show that true Irish Republicans are not criminals and will not associate with or protect criminals. 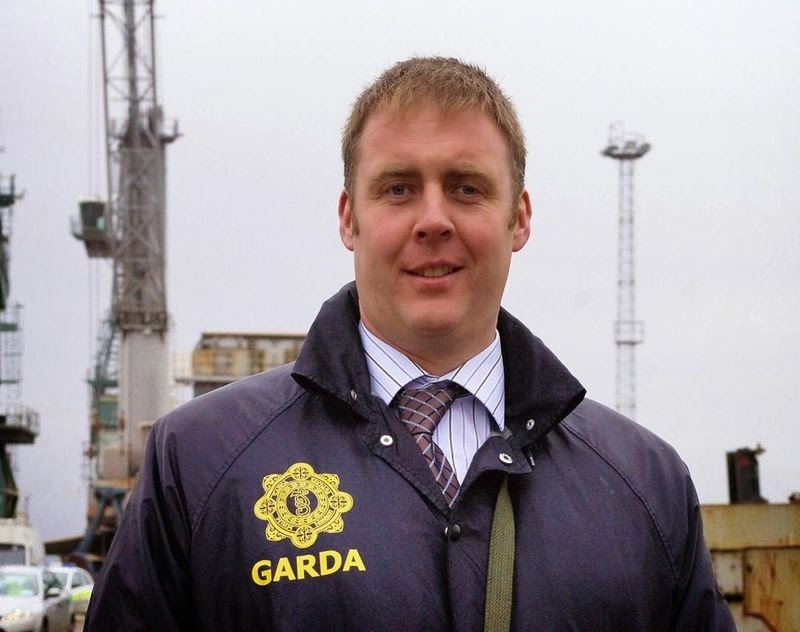 Gardaí have issued a fresh appeal for information into the death of Garda Adrian Donohoe who was shot dead during an armed robbery in Co Louth two years ago today. The 41-year-old was shot dead during an armed robbery at the Lordship Credit Union in 2013. His killers remain at large. But gardaí say they are determined to bring those behind the murder of their colleague to justice. This morning his widow Caroline, his two children, colleagues and the community of Bellurgan were joined by Garda Commissioner Noirin O'Sullivan to mark his anniversary at St Joseph's Church in Dundalk. The Garda Commissioner said very significant progress had been made in the investigation into the murder of Garda Donohoe. She said the force needed to get things 100% right before those responsible could be brought to justice. She said gardaí had full co-operation from the PSNI and forces in other jurisdictions. However, she said there are people in the community who have significant information that could help the investigation and she called on them to have the courage to come forward. Gardaí say they are determined to bring those behind the murder of their colleague to justice.